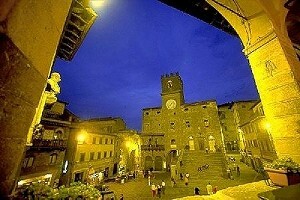 In the past, Cortona was one of the twelve Etruscan League cities. With its noble palaces and its magnificent panorama, Cortona is a wonderful town visited every year by thousands of tourists coming from all over the world. Our agency specialised in renting luxury villas in Cortona and Tuscany - luxury villas with private swimming pool, elegant apartments in villas, castles with exclusive swimming pool and finely restored farmhouses in panoramic position atop the Tuscan hills - has the right solution for your next holidays in Cortona. 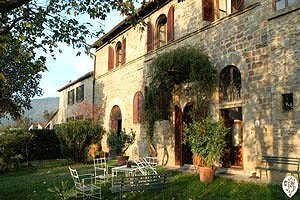 Find the accommodation for your next holidays in Cortona countryside among the luxury villas in Cortona that we have selected for you in this page and in our website. Luxury and charming villa with swimming pool in the countryside of Monterchi (Arezzo) in Tuscany. Villa with accommodation for 8/10 people, garden, swimming pool, panoramic view. Luxury villa for holidays in Valdichiana, near Cortona, in the province of Arezzo. 10 sleeping accommodations, swimming pool, gym, hydromassage, Internet, satellite TV, table-tennis table, barbecue. Tennis club and golf club nearby.